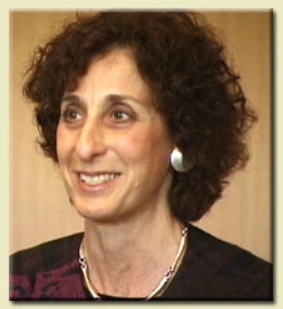 with Joan Klagsbrun, Ph.D. 1 DVD 66 min. This DVD is a dynamic presentation with several experiential exercises and a lot of wisdom from Joan Klagsbrun's passionate work. It will be of interest to anybody facing illnesses themselves or their families/friends. It is also recommended for health professionals who can use a Focusing approach when dealing with people in their care. Joan brings several examples of "mini focusing moments", which can make so much difference to people who are facing and learning to live with illness. Focusing can be the inner compass that helps people navigate through the territory of serious illness. It invites people to connect with body, mind, and spirit when making important medical decisions to perceive inner meanings rather than taking cues from others; to understand their own stories in a fresh way; to build a life-enhancing social network and to integrate the illness experience in such a way that their humanity is expanded. Using case examples and experiential exercises, this DVD will help you to discover how Focusing can be a catalyst for experiencing health in the midst of illness. Joan Klagsbrun Ph.D., is a psychologist with over 20 years experience as a Focusing-oriented psychotherapist, who devotes some of her practice to clients with life-changing illness. She has been a long time Focusing Coordinator for Boston, is co-chair of the Focusing and Medicine team for the Focusing Institute, and teaches University courses on illness and wellness to graduate psychology and divinity students. She has recently become involved in conducting research on Focusing and the arts, with women with breast cancer.